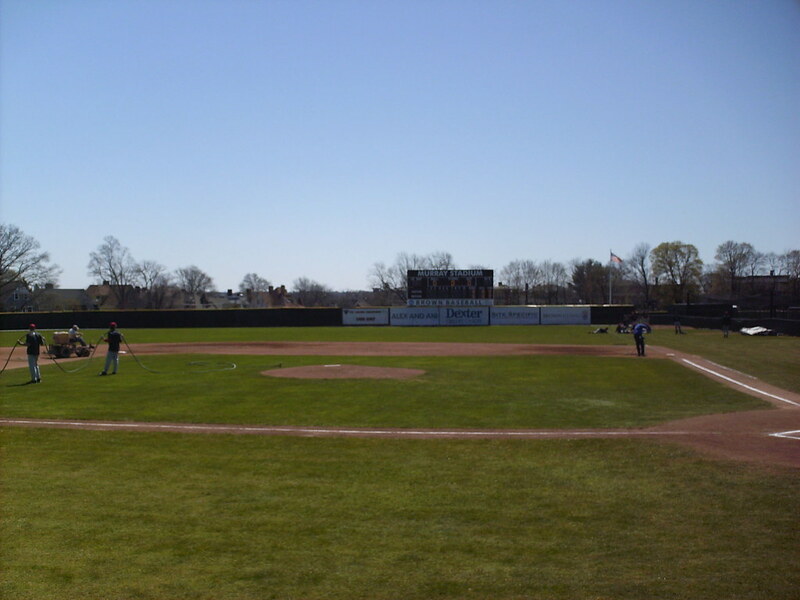 The view from behind home plate at Murray Stadium. 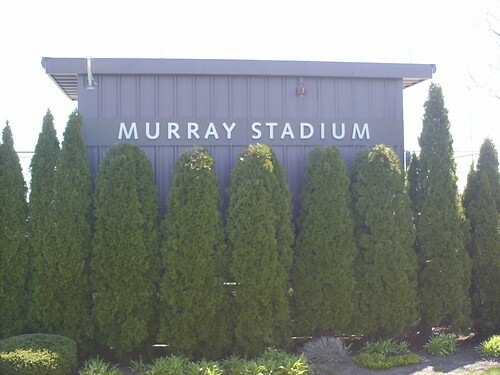 The grandstand at Murray Stadium, as seen from the right field corner. 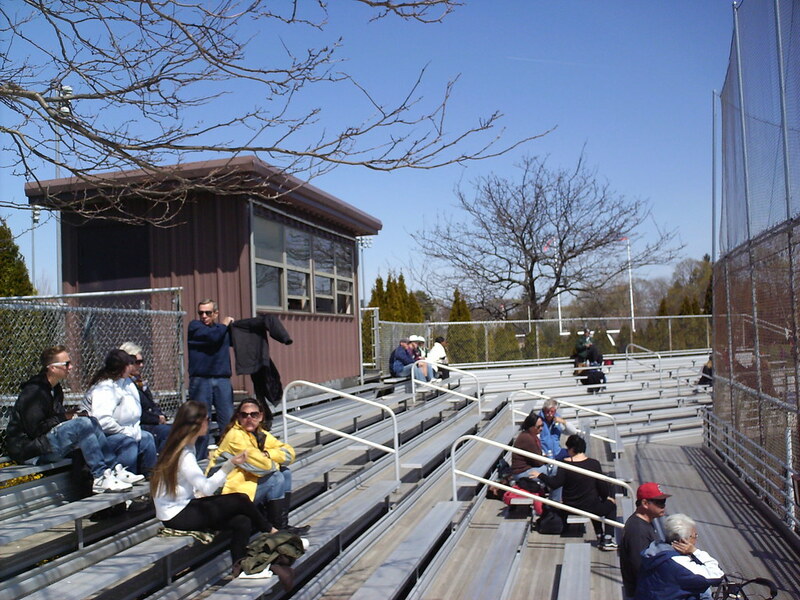 The pressbox sits at the top of the aluminum grandstand. 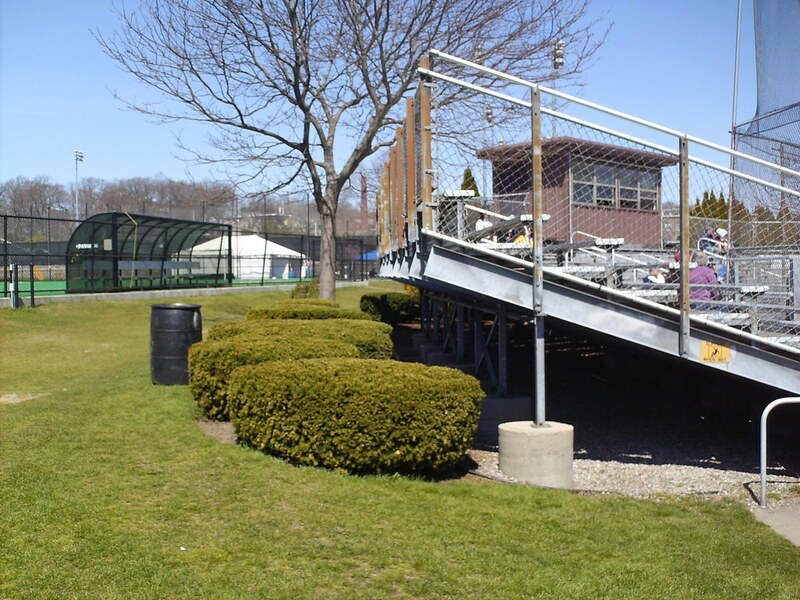 Trees hang over the seating bowl, providing some shade on late spring days. 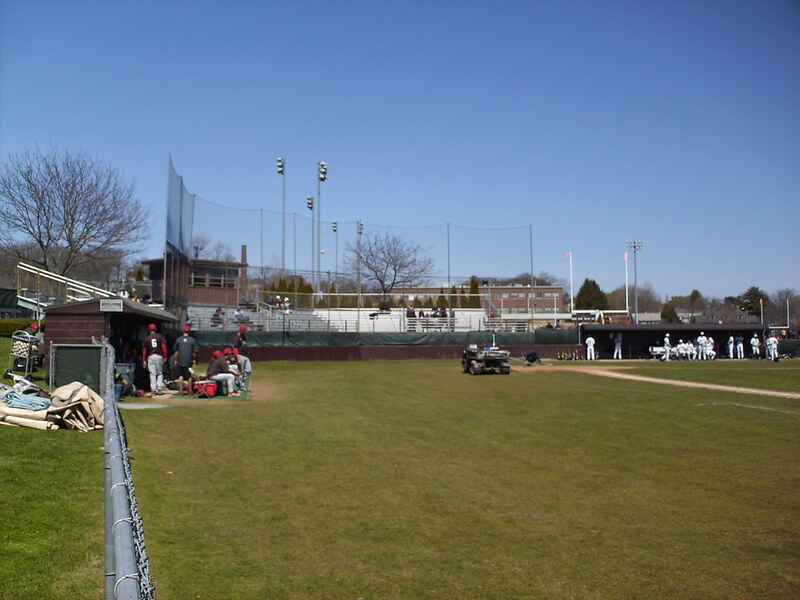 The grandstand is surrounded by the nicely landscaped athletic complex at Brown, with the school's other sports fields beside it. 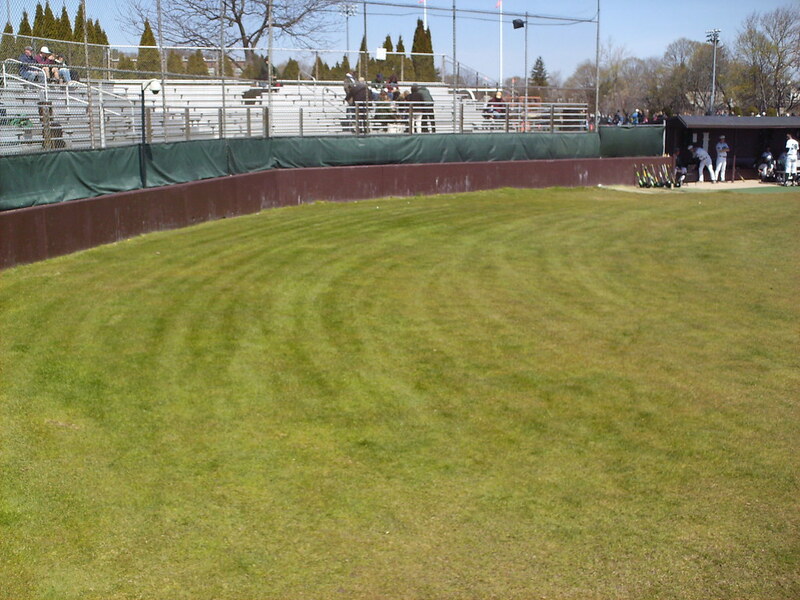 The field is set down from the rest of the athletic complex, so grass hills form berm seating down the foul lines. 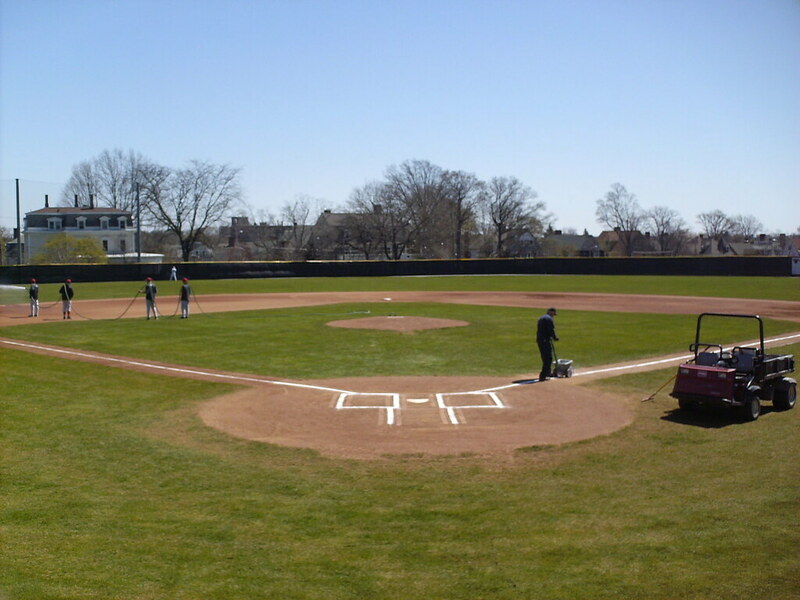 The playing field features a large amount of foul territory between the plate and the backstop. 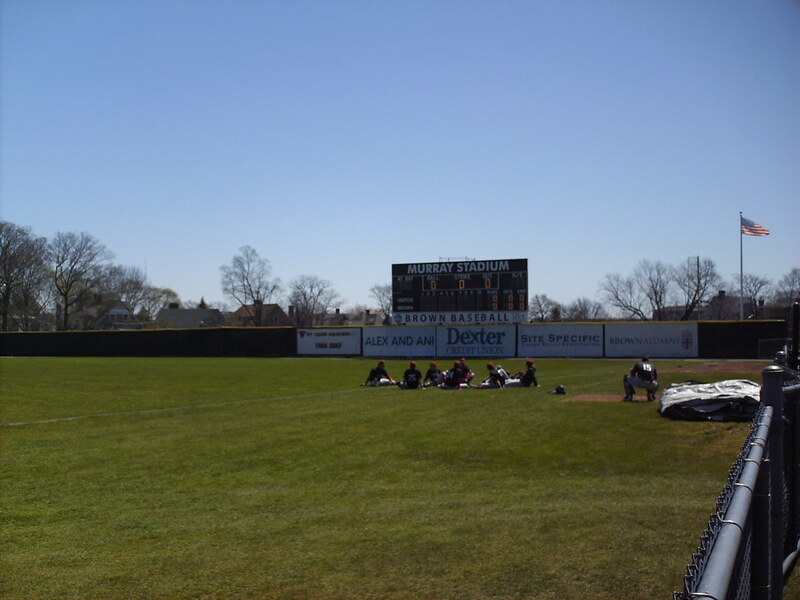 Dugouts sit at field level. 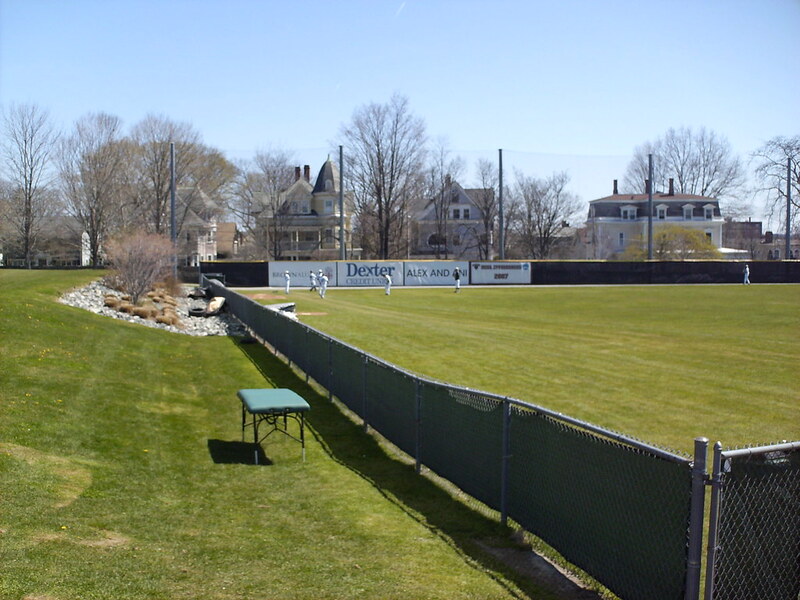 The outfield wall features a net in left field to protect the residential houses beyond the fence. 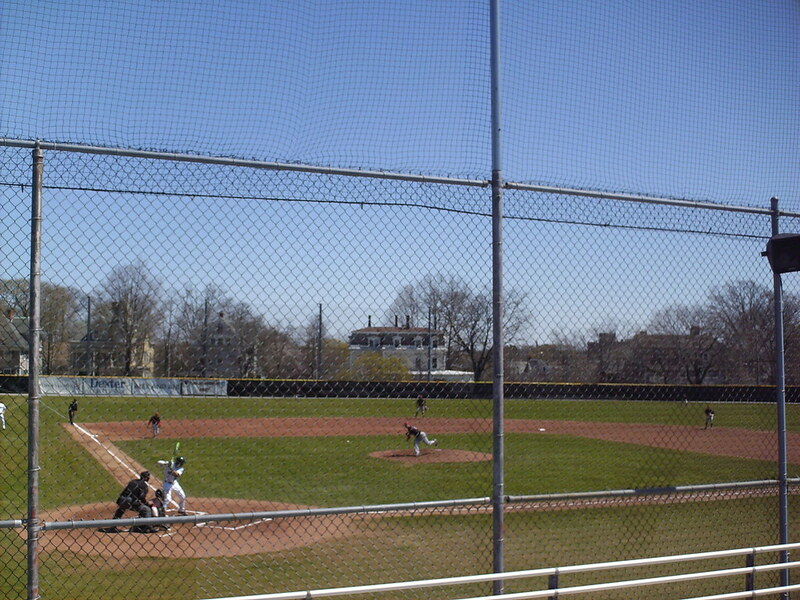 The scoreboard and flag sit beyond the right field fence. 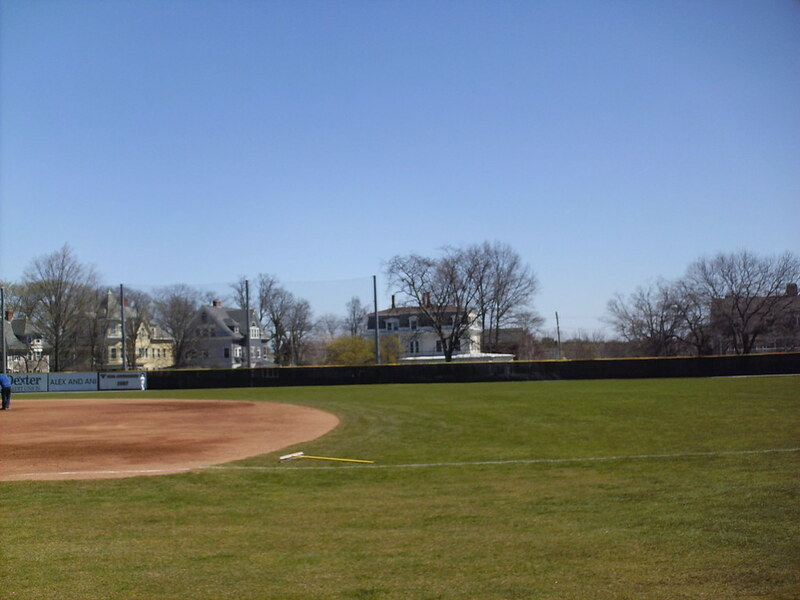 A banner on the wall celebrates Brown's Ivy League championships. 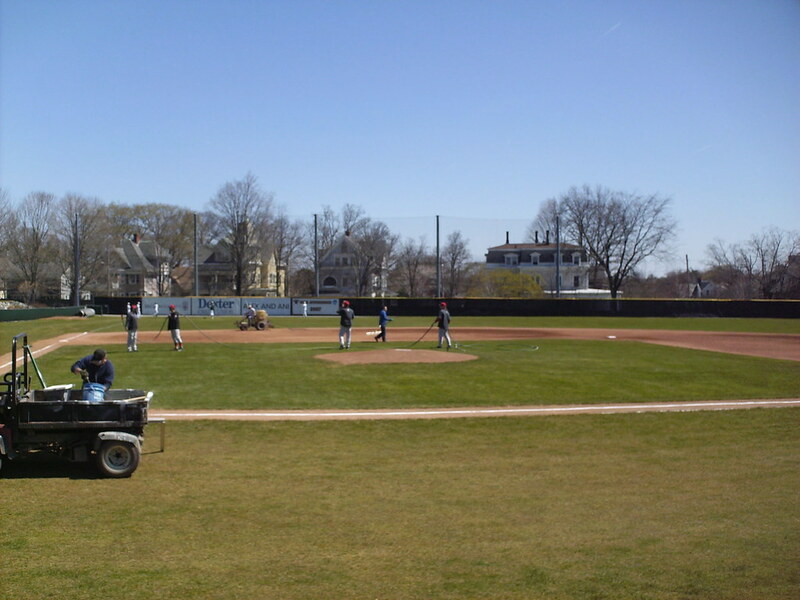 The Brown University Bears on the field during a game at Murray Stadium.